Renault will add Nissan production in its Sandouville plant. 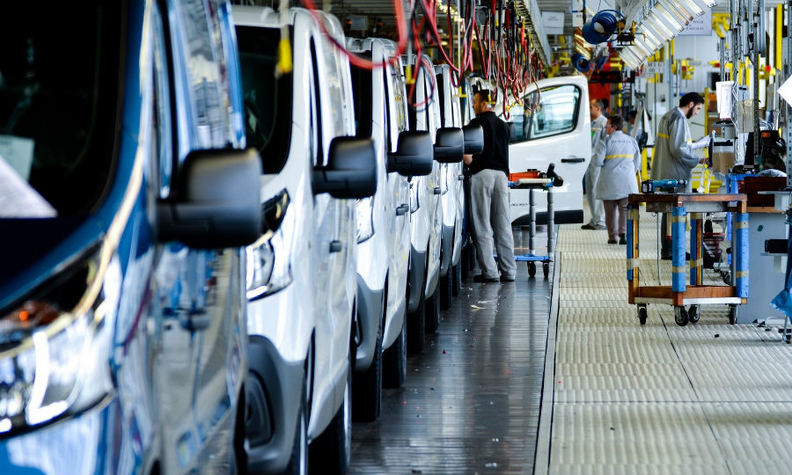 PARIS (Reuters) -- Renault will build the NV300 van for alliance partner Nissan at its Sandouville plant in northern France. The vehicle is the replacement for the Primastar model that is currently built at a plant in Barcelona. The contract will boost Sandouville production by 100,000 units between 2016 and 2026 and involves a three-year, 230 million euro ($256 million) investment, Renault said in a statement. The Sandouville factory builds the Renault Espace minivan, Laguna sedan and New Trafic light van, according to Automotive News Europe’s European plant map. The plant also manufactures a version of the Vivaro van for General Motors' Opel and Vauxhall unit, and will soon begin production of a Fiat van based on the Trafic.